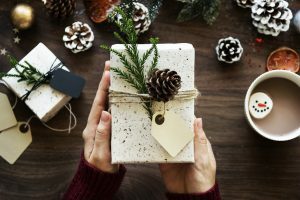 The holiday hustle—that precarious time between Thanksgiving and winter break—is an outstanding time for teacher leaders to reach out to new teachers. For many beginning teachers, this period is pivotal. It’s the first holiday rush, and they are likely reflecting on how they did during their first semester. As a first-year teacher, by the time I made it to Christmas break, I was sure that I had failed at a few things. Someone along the way had told me not to smile at my classes until we returned from the holiday. However, I’m sure I was smiling in the first week. Here’s another thing. Although I know I was bonding with students to build strong student-teacher relationships, my classroom management was less than stellar. My transitions weren’t seamless, and students talked over me. My best classroom management strategy was to be louder than the loudest kid in the room. By Thanksgiving, I was relieved for the break. I was tired. I needed support. For beginning teachers, making it to the end of the semester can bring a real sense of accomplishment. They feel free to write new plans and ready to reset routines for the second semester. For others, this time brings questions and deep reflection. Is teaching really what I thought it would be? Why do I feel so lost all the time? What else can I do with this science degree? It is so important for schools who want to retain talent to think critically about the needs of their novice teachers – they must think beyond new teacher training at the beginning of the year. As we approach the first extended break, why not initiate a check-in with new teachers that can provide exactly what they need (but likely won’t ask for)? At the beginning of the year, a new teacher passively listens to mentors without having delivered a lesson of their own. They don’t ask many questions because they don’t yet know what they don’t know. By December, they have real questions, important questions: Do I need to follow the textbook verbatim, including spending so much time on abstract nouns? How do I balance the core content with other important lessons my students need? How do I reach the kids who seem bored? Then there’s the question at the heart of the unasked questions: Why does everyone else seem so accomplished while I’m just trying to hold onto the side of the boat? Headed into my first semester break, I remember having several stacks of papers and projects to grade so that I could calculate semester averages. Veteran teachers were done and in the hallway visiting and having a great time. Luckily, I had no problem being vulnerable, so I asked, “How is everyone done with grades already?” A couple of them followed me to my room, took one look at my desk, and offered the famous southern phrase, “Bless your heart.” They left and returned with grading pens and coffee. They divided my papers and helped me grade, all the while giving me tips on how not to allow my paper stacks to ever get that large again. This time of year, everyone is busy. Veteran teachers and administrators are incredibly busy. But there must be deliberate effort to check in on new teachers as they reflect on the semester’s end. Even when they have an assigned mentor, having an opportunity to gather ideas from a few other accomplished teachers is vital. Administrators should occasionally free up time in the school day for new teachers to observe veterans so that they can reflect and ask good questions. Sometimes just having thirty minutes to observe management strategies and the physical space of a veteran teacher’s classroom can go a long way in giving new teachers a few ideas about their own systems and structure. New teachers often have no concept of the time it takes to become really good at teaching and all the tasks and milestones along the way. This is why, for many of them, the first semester represents a turning point. They need to know that they will get there. They need encouragement from us. 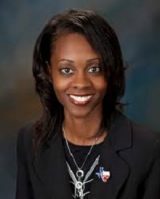 Monica Washington is the 2014 Texas Teacher of the Year and a member of the National Network of State Teachers of the Year.